Barb Dedi and Nour Albaradan were the two recipients of Multiculturalism Council of Saskatchewan awards, presented at Regina's Government House on Saturday to kick off multiculturalism week. Every day, Regina's Barb Dedi says she still sees and hears instances of injustice and people experiencing racism or discrimination. The most blatant example was just 18 months ago, when a woman called Dedi and told her she'd been asked to leave her workplace until she would take off her religious head-covering. "To me, that was pretty disastrous," said Dedi, who has spent a lifetime advocating for multicultural rights, women's rights and labour rights. Dedi was one of two recipients of Multiculturalism Council of Saskatchewan awards, presented at Government House in Regina on Saturday to kick off multiculturalism week in the province. For Dedi, her passion for this work came from her childhood growing up in a boarding house in downtown Regina, where her parents rented out rooms to newcomers, among others. "It was such an interesting childhood, because I learned many things at a young age, that we're not all the same, that we are different," she said. "But I always knew along the way, we should all be treated with equality, dignity and justice." Dedi is retired from her work as a psychiatric nurse and now dedicates herself to volunteering with organizations like Spring Free From Racism and the Saskatchewan Association of Human Rights. She also has stepped up to help individuals, including the woman who was not allowed to wear her hijab, intervening to see her job reinstated. "When I talk to people that are so angry about new people coming into Canada, I just remind them what diversity does to our province," she said. Dedi said she's quick to remind people that newcomers are no different from the immigrants and settlers who made Canada home generations ago. "Multiculturalism continues to grow," she said. "And it makes our province a better place." Nour Albaradan is also a passionate advocate for multiculturalism, which saw her recognized with a youth leadership award through the council. 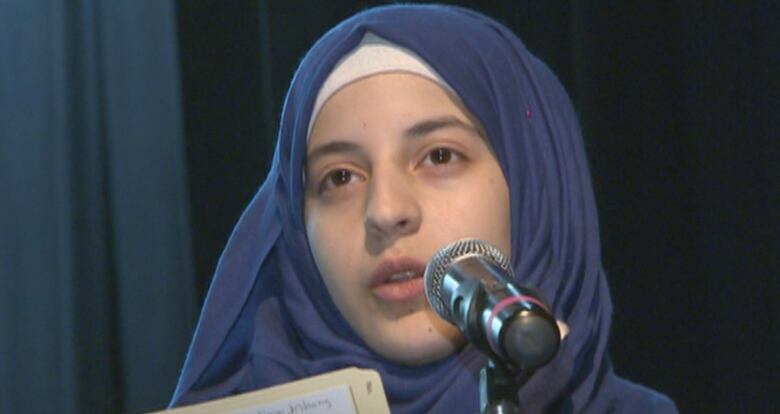 The 17-year-old student at Sheldon-Williams Collegiate came to Canada nearly three years ago, leaving a refugee camp in Jordan to make her way to Regina. "Canada has a lot of people from different cultures," she said, explaining that in her home in Syria and in Jordan, she hadn't been exposed to this kind of diversity. But she lights up when she talks about the new people she's met since coming to Canada. "Knowing people and their cultures is just an amazing thing." Albaradan has written poetry, given speeches, and encouraged her fellow students to share their own culture as part of her work within her high school. She also has plans to build on the power of multiculturalism by following in the footsteps of her inspiration, her teacher Kyla McIntyre, who supported her in adapting to a new home. Someday, she wants to reach out to an unsure and tentative refugee or newcomer, and let them know they too can be part of Canada and its diversity. "I would like to be like her, and give people support, like she gave me."